Memorial Day is an American holiday specially designated for honoring the people who died while serving in the military, particularly in war. The primary purpose of this holiday is to hold in thankful memory the freely given sacrifices of the soldiers for the good of the nation. These sacrifices are lifted up to be honored and, when necessary, emulated by those who are still living. Without a second thought, many thousands of churches across America recognize this holiday the day before on their Sunday services. But does the holiday have any merit in being recognized by the church? Does the holiday support the mission of Jesus, or does it work against it? Memorial Day has always had a quasi-spiritual aspect to it. The patriotic parades have generally had religious overtones, and speeches given at community gatherings frequently have had references to scripture. This nationalistic spirituality is heightened in tone and content when Memorial Day celebrations are brought into church services. Sermons for the day are characteristically filled with expressions of thanks for the soldiers who died in war and claims about their heroism. Messages commonly honor the sacrifices of the fallen by linking battlefield deaths with the self-denial Jesus called his disciples to practice. This comparison is not only dangerous, it is also blasphemous, as we will see later. Memorial Day’s spiritual overtones make it especially dangerous. What is very often forgotten, is that Memorial Day is only an American national holiday. Christians, according to scripture, are not citizens of any worldly nation: America included. Christians are called foreigners to the nations they live in. There is a very clear reason for this in scripture: Christians have a new citizenship in the Kingdom of God. So should Christians observe a national holiday for a nation they are not a citizen of? The ethics of the Kingdom differ greatly from the ethics of a pagan nation like America, yet despite this, they often become confused for one another. Laying Down Your Life… For Freedom? To a great extent, nationalistic claims merge with claims of Christian faith in Memorial Day sermons so that the distinctiveness of the Kingdom of God is blurred. The death of soldiers are often compared to the incomparable sacrifice of Jesus: “Thank God for those who died to make us free… similarly the price Jesus paid afforded our salvation.” Such a comparison diminishes the astonishing nonviolent, self-giving act of God in Christ in order to bestow exaggerated honor on those who died in bloody conflict. But such comparisons are a regular feature in Memorial Day messages that are preached from pulpits. It is often claimed, “Because men died for this country we have a right to preach God’s word freely.” However, freedom of religion for Americans has not been at stake in any war the nation has fought.1 Misleading assertions of this sort are not uncommon in Memorial Days sermons. Regardless, while freedom is a wonderful thing to have, it is certainly not something that scripture tells us to seek after, much less kill for. Furthermore, true freedom only comes from God, not our efforts (2 Corinthians 3:17). The religious freedom we currently have was not something that the early church had, yet they flourished. Many thousands of Christians laid down their lives as martyrs for their citizenship in the Kingdom of God. It could be argued that the religious persecution they experienced was the catalyst for how fast and wide the message of Jesus spread. There is no verse more quoted on Memorial Day than John 15:13 . Unfortunately this verse has been violently wrestled out of it’s context to be applied to the act of dying in war. Jesus here isn’t talking about laying down your life in war, in fact, it is quite the opposite. Context is key, so let’s look at it again with some surrounding verses. My command is this: Love each other as I have loved you. Greater love has no one than this: to lay down one’s life for one’s friends. You are my friends if you do what I command. This is my command: Love each other. Jesus is giving his followers a command: love people. Then he gives the greatest example: laying down your life. The thing is, Jesus is saying all this the day before he is going to die; he is talking about himself. So in order for us to properly model this, we have to look at how Jesus laid down his life and who he laid down his life for. Jesus died by the hands of his enemies, much like soldiers do, only Christ died without fighting back. Most shockingly though, Jesus didn’t just die for his friends, he also died for his enemies (Romans 5:8, 10). This is something that soldiers can never claim. John 15:13 is about laying down your life, in love, while refusing violence. Thus, soldiers can never be said to be displaying the love described in John 15:13 while dying on the battlefield. It was Christ’s intention to go and die for his friends and his enemies for love and in love. He did so without killing. We like to imagine that what a dead soldier went out to do was to lay down his life for his friends, but that is only the half of it. The main objective in any war is not to “lay down your life for a friend”, the main objective in war is to destroy (kill) the enemy and come home alive. Soldiers train to kill. Soldiers are willing to both kill, and to be killed. Jesus’ life was only in favor of the latter. Jesus forbade the act of taking someone else’s life. This is the key difference. When giving his longest recorded sermon, Jesus said “Blessed are the peacemakers.” Jesus never said “Bless and honor the warmakers.” It is important to understand the difference. If we believe in the way of Jesus then we believe that peace can be obtained without war or violence. War and violence is exactly what Jesus refused to utilize when securing victory and salvation for the world. Jesus commands his followers to love their enemies and likewise refuse these satanic tools as well. Because war is such a satanic act, soldiers on the battlefield are working at cross purposes to the Kingdom of God which is for the life of every person. Paul tells us that Christians don’t use weapons of war like the world does because the world’s wars are not our battles to fight (2 Corinthians 10:4, Ephesians 6:12). Instead we are called to be peacemakers. Being a peacemaker is about actively seeking peace through peaceful methods. Because of this, those preaching from the pulpit should be fostering affections for peacemakers who deplore war, instead of instilling national pride and support for those willing to make war. This is the grave sin of Memorial Day. It could be easily argued that if America was a Christian nation, it should have a day to honor those who withstood the temptation of violence and vengeance and chose peace instead (like Jesus). On Memorial Day when we only honor “our” dead we inevitably create an “us vs. them” mentality. This betrays the heart of Jesus who tells us to love everyone, including our enemies. This also betrays the truth that our citizenship doesn’t lie in America, but rather in the Kingdom. Our dead lie in graves in countries scattered all over the planet. Memorial Day originally served as an occasion to commemorate the Union and Confederate soldiers who died in the Civil War. By including the war-dead on both sides of the conflict, the day was used to affirm unity rather than reinforce division. The sacrifice of the soldiers was acknowledged but one side was not glorified over the other. Can we remember those who died in war without reinforcing nationalism for a nation of the world? 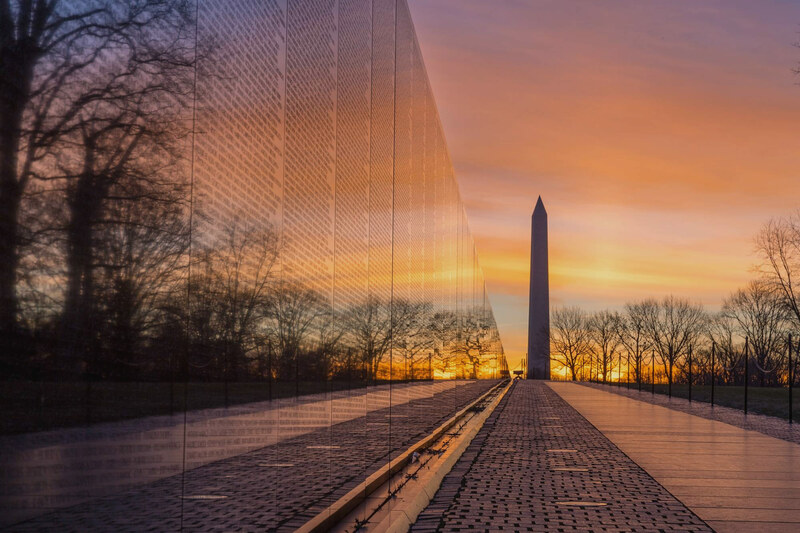 Perhaps if all who died on battlefields were mourned on Memorial Day –and not just Americans– the occasion might foster something greater than national unity: a global unity rooted in an acknowledgment of the tragedy of war. Christians should mourn the death of soldiers on all sides of all conflicts, for each life was an image-bearer of God that was robbed by satanic deception. Jesus showed us what dying like a hero actually looks like. It looks like refusing violence and killing. When a Christian stands up against Memorial Day and chooses not to celebrate the role of the soldier, (one who chose to kill), do not be surprised if the world hates you for it. Jesus warned us about this very thing. The Church must honor the Christian story, not the American story. For citizens of the Kingdom, the enemy is death. Soldiers work (knowingly, or unknowingly) for the dark spiritual forces who rule the nations of the world in order to create more death. 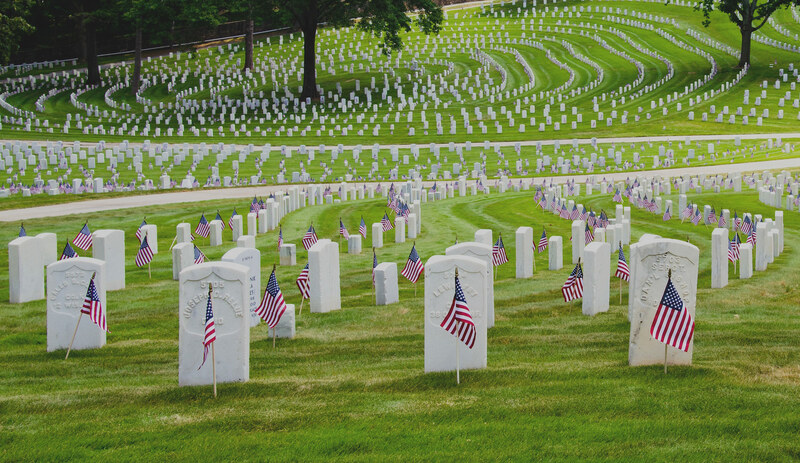 Memorial Day rightfully is America’s holiday, but it is not one of the Church’s holy days and it should not be treated as though it is. It is not part of the church’s purpose to celebrate the wars, or the war-dead of any nation. Christians come together in worship as a transnational community of faith bound together by Christ, not nationality. Those who chose to kill stood in opposition to the way of Jesus. This is the message that should be preached from the pulpits. The church has already set aside a time for remembering the dead. That time is All Saints Day. This celebration of remembrance is not for those who died for the nation in wars, but for those who died in Christ from all nations. On this day we honor those who went before us on the journey of faith and who are examples for us as we endeavor to walk in the way of the Prince of Peace. The church in America needs to keep the teachings and the story of Jesus at the forefront at all times, even on Memorial Day. On Memorial Day, let us mourn and help the widows of those fallen, but let us not honor the position of a soldier and their choice to kill.